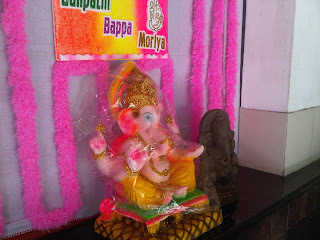 "At Home in Hyderabad": Ganapati Bappa Moriya! So - - what is it like on the streets? Well...it's like a huge birthday-party for Lord Ganesha! 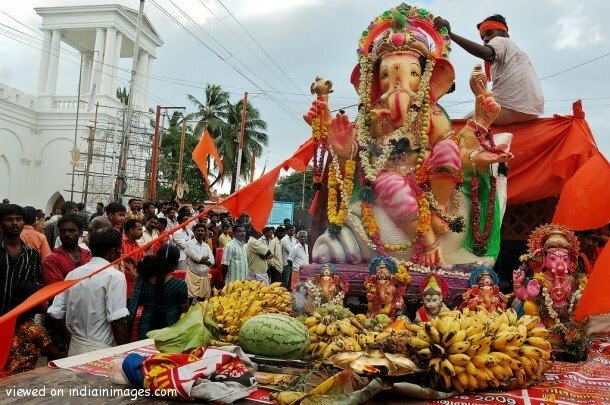 Actually, it's an eleven-day festival which began on 11 September at about 5:00 A.M. with some serious conch-shell blowing and drumming! 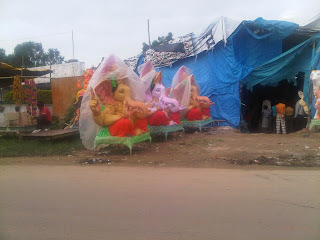 There are Ganeshas everywhere!! 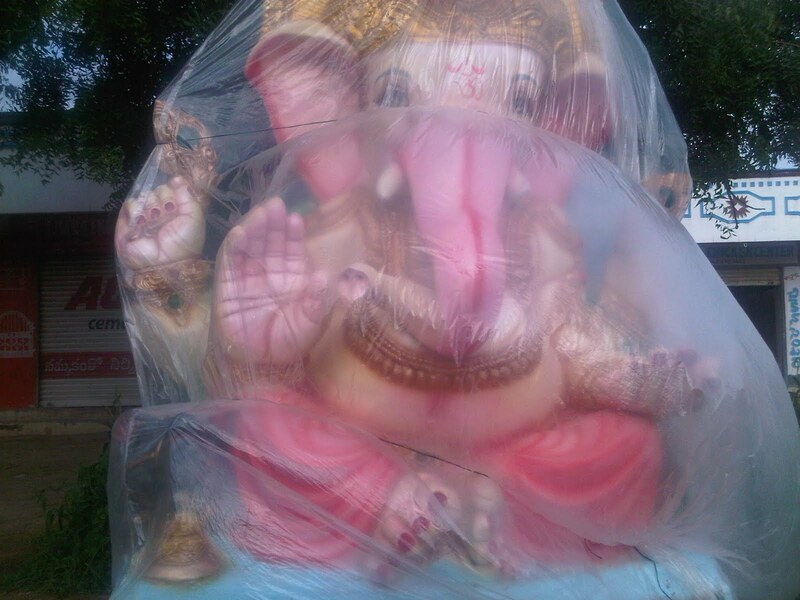 We await next Wednesday (the 22nd) when all of the statues, large and small alike, are immersed in a large body of water. 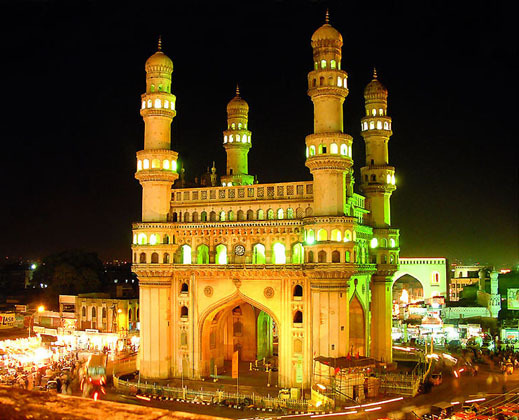 For us here in the City of Pearls, it's going to be the the Hussain Sagar Lake in the center of town. Amy Suzanne and I will try to brave the incredible crowds at lakeside to see this event. I have the good video camera all charged-up and ready. I understand it will be a wild experience! It' will be about a 3 Km. walk to the lake from the place where we will park. The crowds are so huge and the event is so popular with everybody that just about all the streets are closed...and Deloitte will even close their doors for the day! 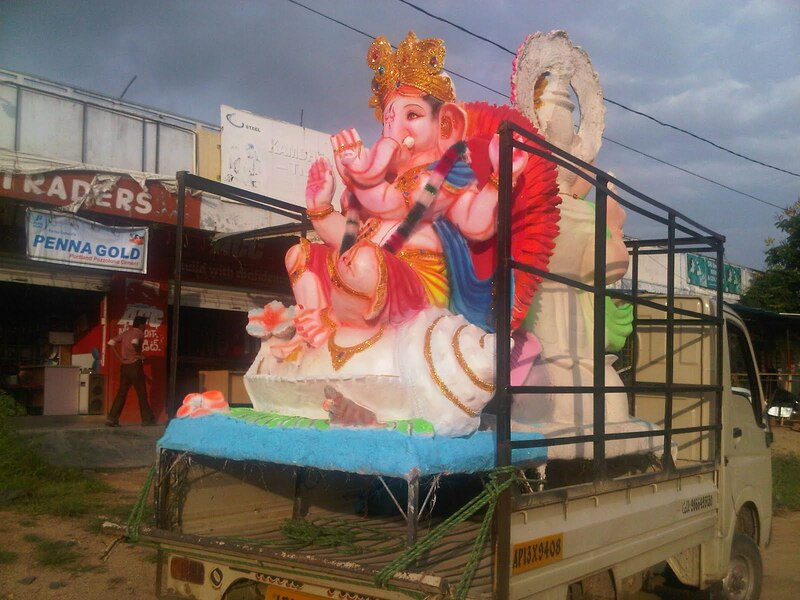 I guess there's almost nowhere you can go in the city without seeing a parade of Ganesh statues heading down toward the lake! 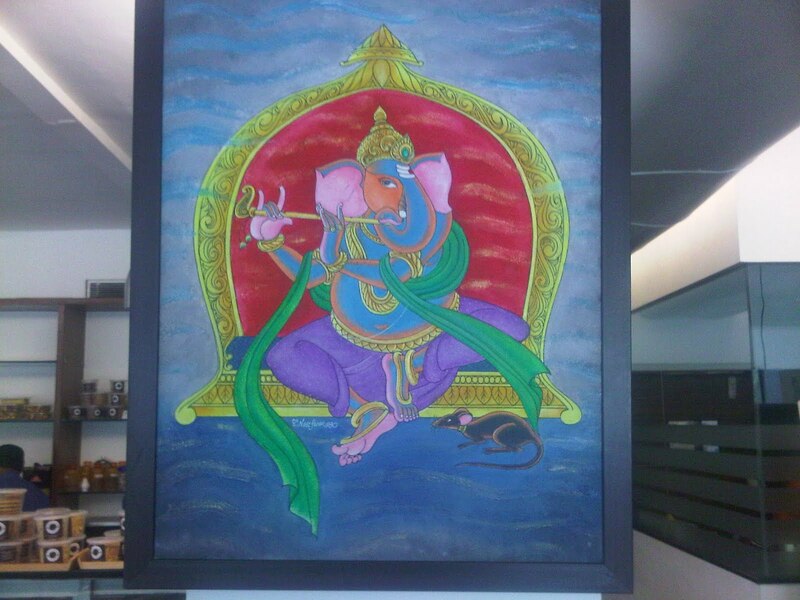 A Ganesh painting at "Beyond Coffee"! 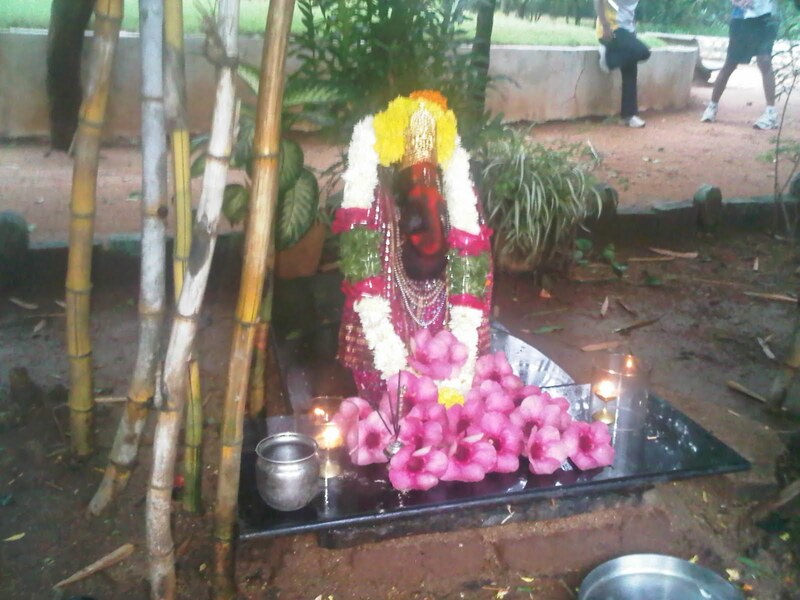 The Ganesha shrine in KBR Park! This Ganesh was just wrapped up as the rains began to fall! I love this one! 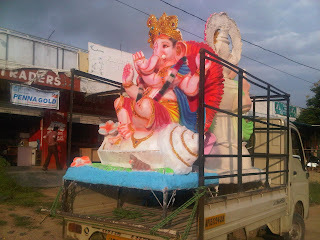 We saw him on the road coming back from Gandipet! Back at "Beyond Coffee"....this Ganesha shrine in the corner of the patio! 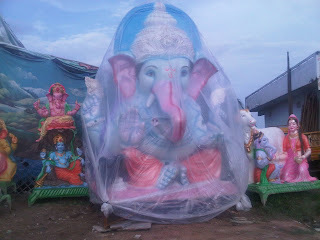 Here in America, people would say Ganesha is a mutant baby and the parents would feel they failed to create a child in their image. Good luck on the 3Km walk to the lake.